When I was young around the age of 7/8 years old, I began to pick up a pencil and sketch. Mostly colour between the lines. As my work grew My Grandma gave me a book that showed me how to draw in perspective and the first example showed me how to draw a Austin Cooper (Mini) in 2 point perspective. 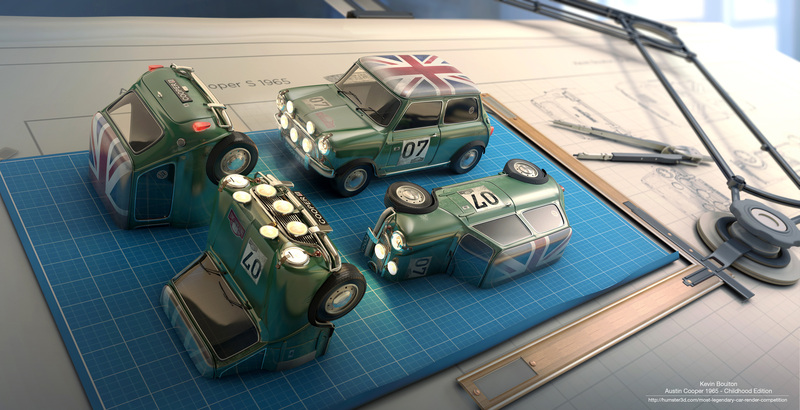 This piece is showing my version of an Austin Cooper coming to life on top of a drawing board to link directly back to the technical tutorial the book provided. A few sneaky details appear such as the Gumball 3000 sticker. This detail is from something I always used to follow back when I was younger and to this day. The old style drawing board features also try to enforce the time period that this is set within. This render hopefully brings the technical drawing ability full circle from my childhood with the 3d work I now make a career out of. 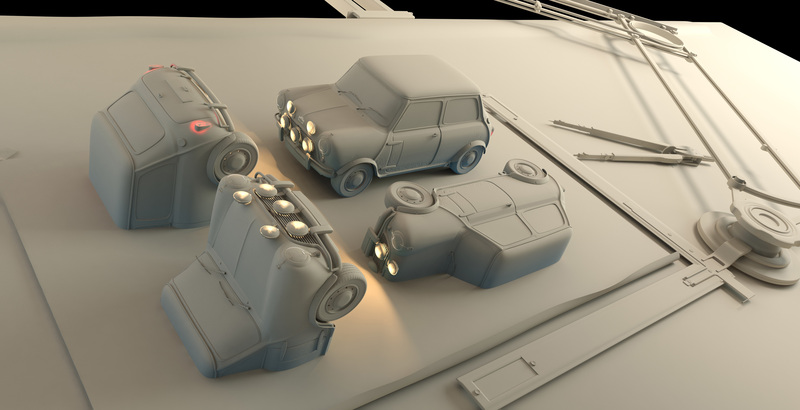 This Concept, Modeling, Lighting, Rendering and Texturing… Are FLAWLESS in ANY LEVEL!! This guy just made an awesome image, nice to the eye and easy to understand. Congratulations dude (who ever you are), you deserve to win! The whole concept its way too awesome. Damn I cant stop looking at this!! Really original! I love it!